football, as well as for Divisions II and III over that same period. How can athletic departments become financially self-sustaining or, at the very least, lessen a widening gap between revenue and rapidly increasing expenses? That is the question the University of Central Florida had to answer in 2005, when it was on the cusp of a facility boom and making the leap into a big-time program. maximize ticket revenue at UCF. Our approach was to institute a culture where revenue generation was endorsed and understood by senior administration. In the last three years, UCF has increased football season tickets sold by nearly 12,000 and annual football ticket revenue by more than $4.5 million. Another $1.75 million in new and increased donor contributions have been taken through the sales office. The second phase included proactively selling for other revenue sports, namely men’s basketball. In just one season, 2007-08, UCF doubled men’s basketball season tickets and increased basketball revenue by more than 300 percent, including nearly $200,000 in new premium-seat sales. While those revenue numbers are impressive, the biggest impact might have been in the implementation of a full-time ticket sales staff trained in relationship-building. UCF won over existing fans by providing a level of customer service that exceeded anything they ever experienced. Combined with a proactive year-round sales strategy, the attention to customer service helped produce dramatic increases in new season-ticket sales, fundraising and season-ticket retention. Assembling a strong sales infrastructure is paramount to maximizing revenue-generating potential and gives an athletic department the best chance for a substantial ROI. There are no shortcuts for athletic directors creating a proactive ticket-sales initiative. A full commitment is required. When considering starting a sales program, many administrators assume that campuses are replete with resources and, therefore, little investment is needed to increase attendance and ticket revenue. While that may be true, success is dependent on investing wisely in the correct resources. The most critical element in establishing a successful ticket-sales program is investing the time and resources necessary to hire an experienced sales manager and making the commitment to provide proper staffing. The ideal manager should be a proven leader who understands sales culture, is capable of implementing effective strategies that can be applied to the college environment, and has the ability to train and teach sales technique. He or she must also be able to communicate effectively to executive administrators and coordinate with other departments (sports marketing, ticket operations, communications/sports information, fundraising and sponsorship) to ensure an efficient and productive operation. To truly maximize revenue, administrators cannot fall into the belief that ticket-sales success can be achieved with part-time employees, students, volunteers or low-paid interns. A full-time staff dedicated to season tickets, partial plans and group-ticket sales is the key to maximizing revenue. The size of the staff can vary depending on each institution’s situation and resources, but anything less than four full-time sales members may place demands that are counterproductive and detrimental to the goals of the program. Students can be used to supplement the sales efforts. Creating a sales culture in a college athletic department can be difficult, but it is not impossible. The trend seems to be catching on. In January, the University of South Alabama adopted a model similar to UCF’s to increase revenue from basketball and jump-start season-ticket sales for a football program that will begin play in 2009. 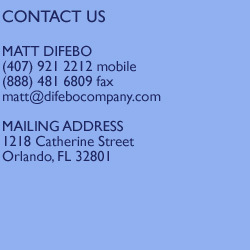 Matt DiFebo (mdifebo@athletics.ucf.edu) is associate athletic director for external services at the University of Central Florida Athletic Association.